This outstanding kale can take the heat and star in the kitchen. Most heat-tolerant of all kale, hybrid’s five-pound heads are closely packed with wide 24” paddle-shaped, blue-green leaves. Tender, sweet leaves offer flavor at once rich and mild. Vigorous, easy–growing, and beautiful in the garden. 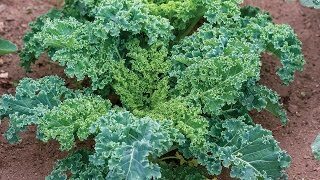 Kale, Tronchuda Beira Hybrid is rated 4.5 out of 5 by 4. Rated 5 out of 5 by Furncroft from Excellent! I searched for these seeds ever since discovering Harry Dodson's book and the Victorian Kitchen Garden TV series. Great heat tolerance. However this plant does not tolerate frost well and quickly yellows from below freezing temps. When other brassicas are relishing the cold this one really is struggling. 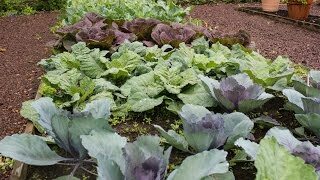 This makes a great alternative to growing collards. I highly recommend it. Rated 3 out of 5 by AliJ from My burpee fall plants never grow! I always patiently await te delivery of my burpee fall plants...often feeling like they should go in the ground earlier—despite some warm August days—just so they can capture more sun:( Sadly, they always come mid September and just don’t get going. I’m hopeful that I can get them to keep growing over winter so that they thrive in early spring. Fingers crossed. Rated 5 out of 5 by DrNRO from Portuguese Kale is a bumper crop I have been harvesting this wonderful form of kale every week since the end of May, and it keeps giving and giving in the blistering humidity of Virginia. No pesticides and it remains impervious to attack. Looks like collards but much milder in taste and cooking time. Surprised I do not see this variety sold at Whole Foods. Highly recommend. Rated 5 out of 5 by Organicgardeningisme from Better than the rest! I planted this for the first time last year. The leaves were tender and the flavor was very mildly pleasing. They were planted beside my curley kale and my Italian kale. The comparison was surprisingly pleasing.